The World TB Day falls on 24th March every year. 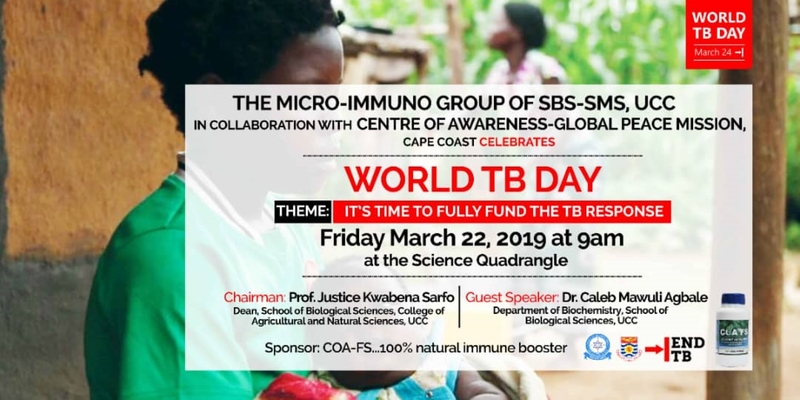 This year, the Micro-Immuno Group, made up of Lecturers from the School of Biological and Medical Sciences, will mark the day on Friday, 22nd March, 2019. The event is sponsored by COA-FS, a 100% natural immune booster. Each year, World Tuberculosis (TB) Day is commemorated on March 24 to raise public awareness about the devastating health, social and economic consequences of TB, and to step up efforts to end the global TB epidemic. The date marks the day in 1882 when Dr Robert Koch announced that he had discovered the bacterium that causes TB, which opened the way towards diagnosing and curing this disease.